Robert was a superb instructor! After trying to tint a few cars on my own, I now see his knowledge of tinting exceeded my expectations; he was equally as good with his communication and motivating as well. He was encouraging when you did something correct which for me made this whole experience AWESOME! I was extremely shocked at how well put together the class was. In my opinion by far the best trainer I have ever had the pleasure of being instructed by…GREAT JOB! Robert took his time to make sure I understood what I was doing. He is first class all the way! I had a great time and I learned a lot. I cannot thank him enough! This course was simply awesome! A GREAT INSTRUCTOR that really knows his stuff; which made everything go very smoothly and easy to understand. 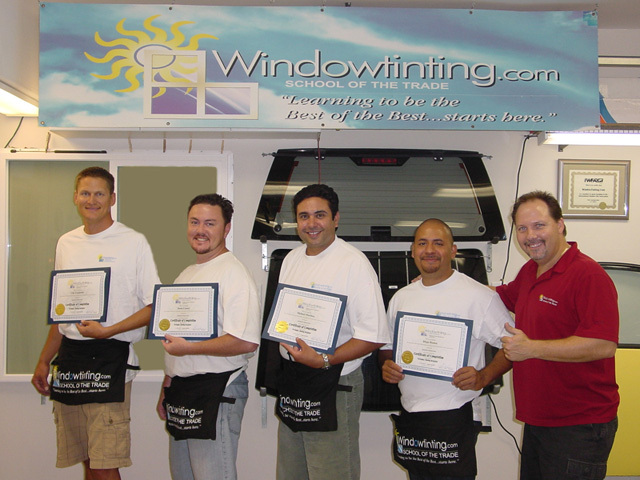 I feel confident to start tinting vehicles on my own…Robert, Thanks!